The BEFTA’s recognise standout leaders and organisations in the Northern Ireland business community, so it’s a real achievement for us to have been recognised by the judging panel. 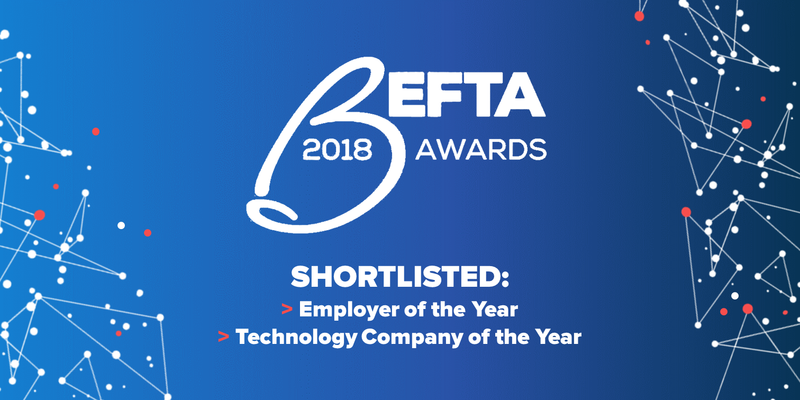 The Best Technology Company category rewards “impressive performance by one of Northern Ireland’s leading businesses operating in the technology sector”. Automated Intelligence has developed AI.DATALIFT, one of the most powerful and intuitive data management platforms in the world, providing businesses with the ability to gain insight and control over their data. We have an incredibly committed workforce, with over 70% of our largest department, Engineering, spending their entire careers with AI. Over the last 3 years over 95% of our university placement students have also returned to AI as permanent graduates. We achieve this level of loyalty by consistently demonstrating that this is an organisation that will allow people to be the best they can be, develop their careers, and be recognised for their contributions. The winners will be announced at an awards ceremony in Belfast on 22 November, so best of luck to our Automated Intelligence team!